Without the guidance of Kelber Ornie, the party is on their own, making thier way through the frozen tundra along the coast of the Shuddering Gulf in hopes to find a way into the nefarious Gnome's territory. Desperate for a fire's warmth and a nice nights rest, they find themselves in a small tavern in which one of the party's past just happens to be waiting for them. There's pipes of positivity and pirates with proclivity for theft and impassivity for other men's motivity! With Guest of Quest, Dom Zook! The Chapter 8 Round Table is upon us. And there is plenty to discuss after an incredibly eventful chapter. Matt, Alexandra, Jake & Paul are all here to chat about the ride of 8.1 and the closure that came with 8.2 as well as all of the amazing voice talent that lent their tones the chapter and our AMAZING Guest of Quest Havana Mahoney. 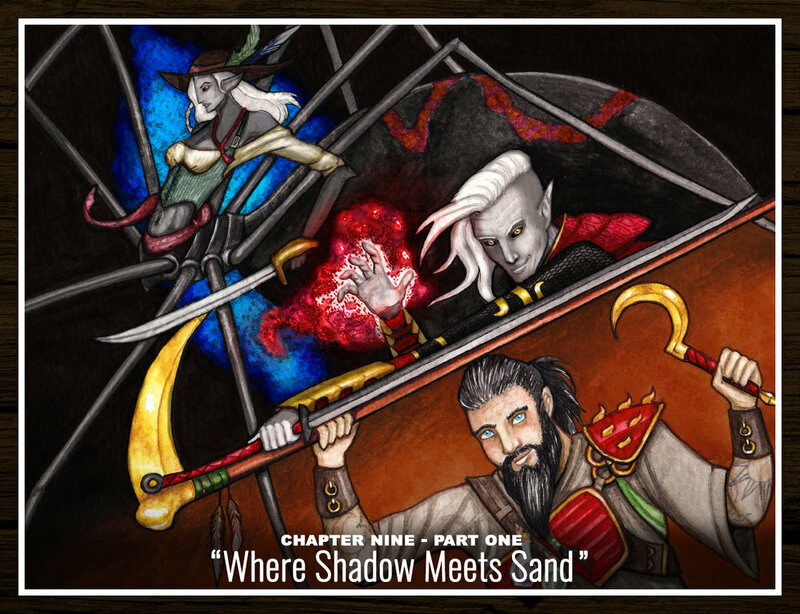 Talking Rin's decisions, history, and poetry skills, the story of Shaline, Jake's invincibility theory, as well as something missed in Rasa's temple! 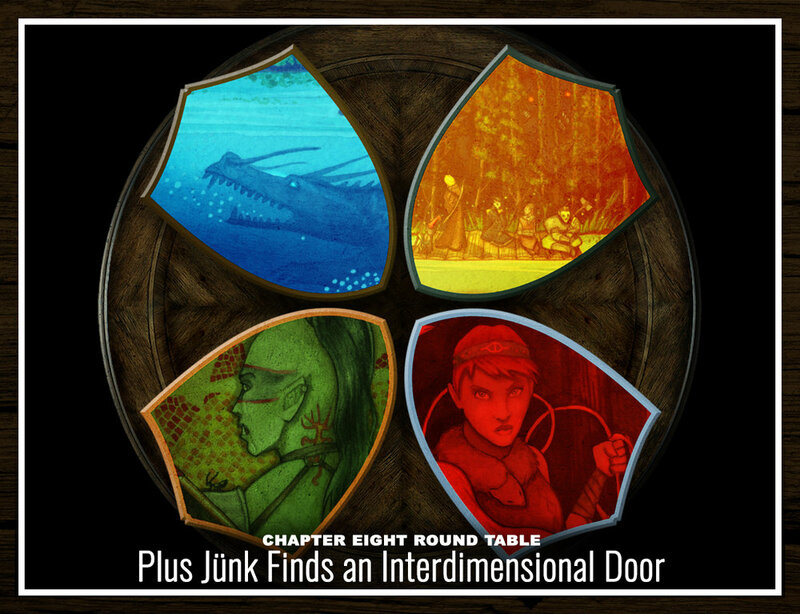 All that plus the Party Level Ups and Jünk finds an interdimensional door! After learning the truth about Rasa and Dark Shaline, the party is headed for Rasa's Sanctum where, according to a mysterious letter, "her undoing lies within." If the former silent sister Rin is to be successful in her sacred mission she'll have to work along side the very Vessel of Rasa who killed her beloved. And if that wasn't hard enough there's an unvanquished champion named Ugu-ta who stands in their way. And she is NOT VERY NICE. There's gateways of water and remnants of slaughter, a soft imprimatur for a favorite daughter. There's much to discuss and a great need for trust, for the alters robust in which death is a must! With Guest of Quest Havana Mahoney! After leaving the quaint port town of Sonsi Village, the party is floating down Sonsi river on a small skiff when they come across a violent battle between a monstrous beast and a deadly and mysterious woman. This chance meeting presents one of the party members with an opportunity they can't pass up. There's a cautious refrain for choices of pain. A voice rarely used for a half-orc accused. There's a magic propeller, some letters are stellar, a massive tree feller, and OH! ....a sky dweller. With Guest of Quest - Havana Mahoney! 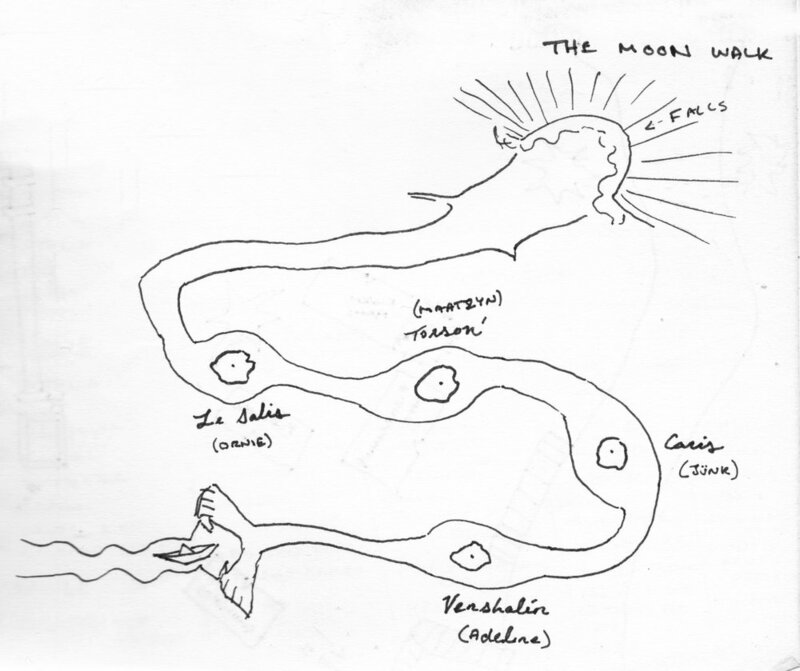 Check out these inserts from Paul's DM notebook from Chapter 7 including the Moonwalk and Sansi Village! It's Round Table time and this one is JAM PACKED! Matt, Alexandra, Jake and Paul are all here talking all about the roller coaster that was Chapter 7 and it's amazing Guest of Quest, Andrew Mena! 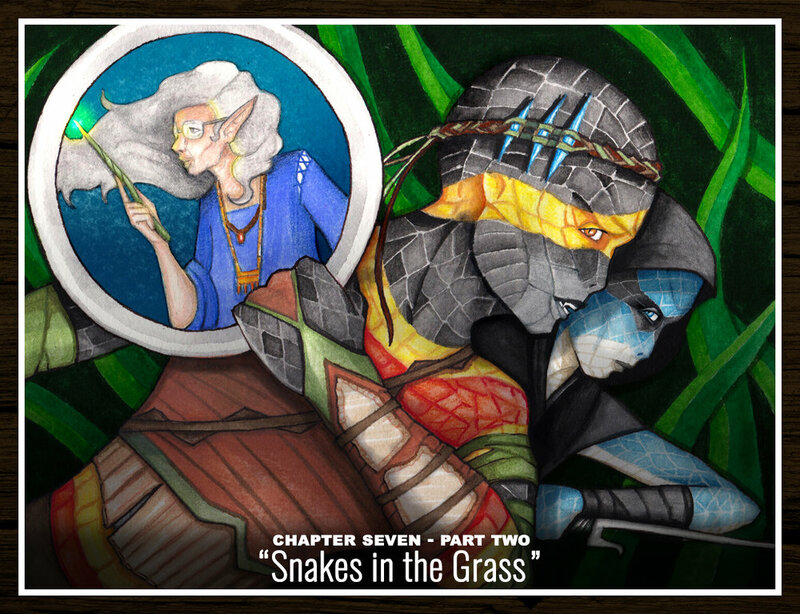 Talking all about Andrew's decisions on Fenferril's voice and character traits, his connection to Adeline, the return of Gina Devivo's beloved Asteria and the Feisty elderly elven NPC that the talented Sarah Martellaro brought to life! 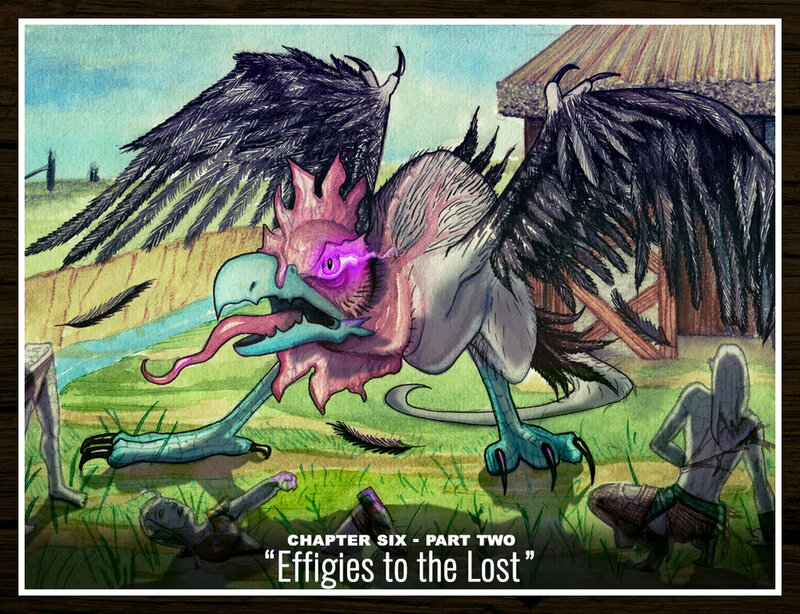 They revisit the mystical Moonwalk dreamscape and some of the things they learned in the chapter as well as some shopping AND enchanting they got to do in the aftermath of 7.2! All that plus a very happy and party-minded Adeline stumbles in... and out... of the Dragon Wagon studio window. Don't miss it! After freeing Sansi Village in the events of Chapter 7.2, the party was given the opportunity to shop in the small village’s marketplace! 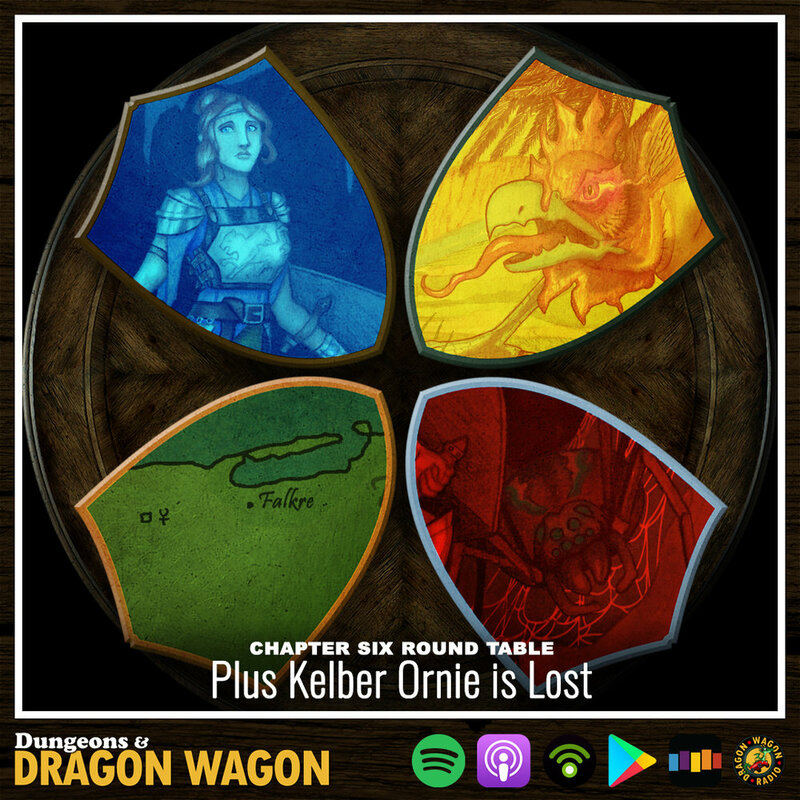 Here is that outing exclusive to DnDWpod.com! The party heads east to seek the aid of the Elves against the Gnome uprising. They find themselves lost in the fog when some new friends provide some much needed guidance and offer a practice of their mystic heritage as a means to travel. Of course it comes with a price as our heroes must truly, tread soft upon The Moonwalk. 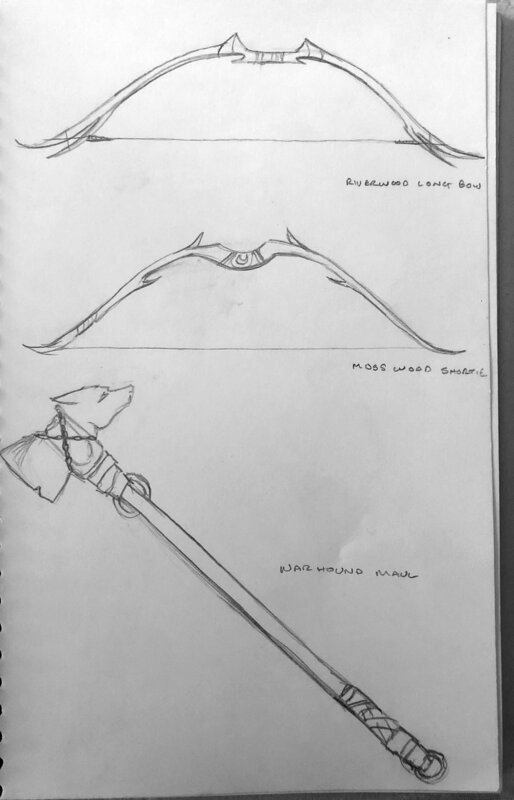 There's a mystical hilt and some magic juice spilt, a Shadow Elf's guilt and a bloodline rebuilt! 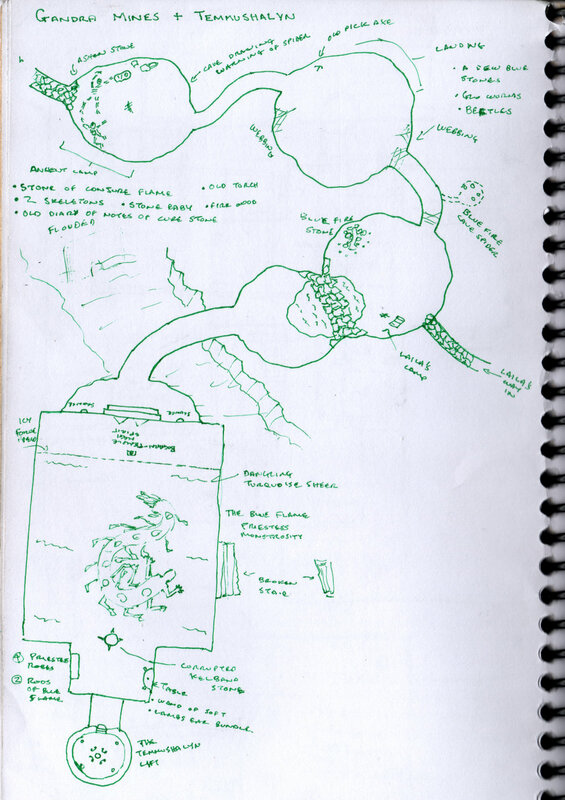 Check out these inserts from Paul's DM notebook from Chapter 6! Questers be Shoppin'! Chapter 5's Misty Cross Marketplace. In Chapter 5.1 the party did some shopping! Here is that outting. After "surviving" their altercation with the bloodmage Asteria in the ancient temple of RASA, the party collects themselves at a nearby inn where they meet a mysterious man who offers them assistance on their way the capital city of Norrence... but not without a catch. There's critters, minstrel metal, and a fierce alcohol with a mystery, some mourning, and a great misty brawl! Chapter 4 has left our party (and us as human beings) in absolute ruin. We felll in love, we were lied to, betrayed, victorious, beaten, victimized, sacrificed, and all sorts of abused. Join the crew as we talk about everything that just happened in game alongside the charismatic and enchanting Bloodmage Asteria as well as gush over the one behind her, Gina Devivo out of game. She is a dangerous woman & by far our favorite natural liar. We also discuss the recording process and what happens when we fall out of it, the performance of the Demoness RASA by friend of the pod, Veronica Wylie, talk about the great battle of Terrorbird vs Dire Wolf, give away what might be our LAST Game Box Monthly subscription, as well as sit down for a VERY informative fireside chat with the one and only Maatzyn!